A bright smile and healthy teeth are the results of good dental care habits. Proper oral care prevents cavities and plaque buildup eliminates bad breath and stops gum disease. Furthermore, maintaining proper dental hygiene can prevent serious medical problems and help you keep your teeth healthy for life. A study shared by The National Institute of Dental and Craniofacial Research shows that 91% of adults 20 to 64 years old have had cavities in their permanent teeth. In addition, 27% of those adults have untreated tooth decay. The good news is that most of these problems are preventable with good dental hygiene practices. Don’t let bad oral care habits ruin your teeth. Here are 15 best practices to help you keep your mouth healthy. Hold your brush at a 45-degree angle and brush with both small back and forth strokes and up and down strokes. To clean behind your teeth and gums, place the bristles at a 45-degree angle again repeat the brushing motion. Use gentle pressure to prevent gum erosion and bleeding. The American Dental Association recommends brushing two minutes a day with a brush that has soft bristles. Our Professional Sonic Toothbrush has a two-minute timer with 30-second interval reminders to move to the next quadrant of your mouth. It comes with three brush heads and has 3 brushing modes: clean, soft, and massage. Brushing your tongue can help remove bacteria and prevent bad breath. Gently brush with your toothbrush or use a tongue scraper to remove bacteria and prevent plaque from building up. Flossing can help you remove food particles and other debris from in-between teeth that brushing regularly cannot. String floss can be harsh on gums, while a water flosser, such as our Professional Rechargeable Oral Irrigator, is a gentle and effective alternative. An oral irrigator sends a pulsed water jet to clean both in-between teeth and below the gumline. Our Professional Oral Irrigator has 3 cleaning modes: normal, soft, and pulse. It comes with two color coded tips for multiple users. It is also handy for cleaning around braces, bridgework, caps, and implants. This is one of the best things you can do for your teeth and overall health. Not only does tobacco stain your teeth and cause bad breath, it can lead to oral cancer and periodontal complications. Sugar converts into acid in your mouth, which can then lead to cavities and erode the enamel of your teeth. Choose healthier options such as water, unsweetened tea, and fruit. Enjoy crunchy foods as snacks, such as apples, celery, and carrots. They can help clear food residue from your teeth. Eating foods that are rich in calcium and vitamin D can help strengthen your teeth, bones and help maintain healthy gums. Dentists recommend changing your toothbrush every 3 months, or immediately after an illness. Do you have a hard time remembering to change your toothbrush? Our 13 Clean Manual Toothbrush comes with one handle and 13 toothbrush heads, one for each month plus a starter to help you finish out the current month. Each head is stamped with the month so you know exactly when to change your brush head. A therapeutic mouthwash does more than mask bad breath. It can help reduce plaque, gingivitis, cavities and bad breath according to the American Dental Association. Regular trips to your dentist for a comprehensive exam can pinpoint any problems and keep them from worsening. Your dentist will remove tartar, plaque and make recommendations about enhanced oral care. 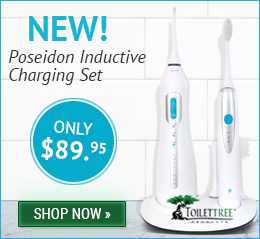 Rinse off your toothbrush and oral irrigator after using them. Store your toothbrush in an upright position inside your medicine cabinet. Covering the brush head can lead to bacteria and mold growth. Empty the water out of your oral irrigator and allow it to dry to prevent bacteria from building up. Good oral hygiene encompasses everything you do to keep your mouth, teeth, and gums healthy. Incorporating these tips will improve your oral health and overall health. The right habits can also reduce the time you spend in the dentist’s chair and give you a whiter, brighter smile. Remember, while it can be tempting to skip brushing your teeth when sleepy, taking the few minutes to brush and floss before hitting the pillow can make a big difference for your teeth. Are you self-conscious about your teeth and smile? If you want a healthy smile you need to take care of your teeth and gums. Using these tips and correcting bad habits will save you time, money and a lecture from the dentist. You can further protect your teeth from long-term damage by eliminating or avoiding these damaging dental habits. Are you teaching your children proper oral hygiene? Babies should begin having their gums gently wiped down when they are a few weeks old. Brushing their teeth should start as soon as the first tooth appears. To read more about dental care tips for babies, toddlers, and children read our blog. How do you keep your teeth healthy? Tweet your tips to us @ToiletTreeProd. Valentine’s Day is rapidly approaching and making holiday themed bath and beauty products is a fun way to celebrate the occasion. If you’re thinking of going homemade this year, we found DIY recipes that are sure to be appreciated by your Valentine or your BFF. You might even wind up keeping a few for yourself as well! 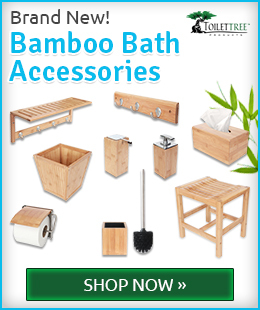 All of these gifts are amazing on their own or you could increase the “wow” factor by pairing them with our Adjustable Bamboo Bathtub Caddy or our Face Brush Skin Cleansing System. Get the recipe from Atta Girl Says. Get the recipe from My Own Road. Get the recipe from The Makeup Dummy. Get the recipe from Bitz & Giggles. Get the recipe from Oh My Creative. Get the recipe from The Cents’ Able Shoppin. Get the recipe from Turning Back the Clock. Get the recipe from Thiftanista in the City. Make this Valentine more special with presenting memorable gifts to your loved ones. Pick any product for him, like – Fogless Mirrors, Hair Trimmers, Travel Bags, Oral Irrigators and more. And for her, like Facial Brush, Makeup Mirrors, Callus Remover, Shower Seats and more. 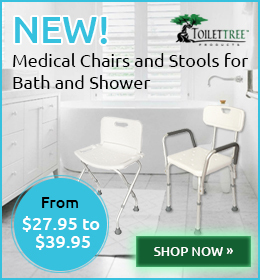 You will be entitled to get 15% OFF + FREE Shipping on all purchase at ToiletTree Products. So do not wait for WOW him/her. 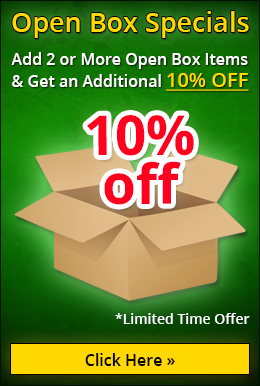 Use this coupon code at checkout – LOVE15.